I’m excited to share with you my first official pattern, Show Love. I designed this quilt as a wall hanging. I like using messages that uplift in my decorating, and “LOVE” is probably the best message of all. Click here to purchase the pattern. While this quilt can be perfect for Valentine decor, I believe the message is universal enough to be hung in your home all year long. 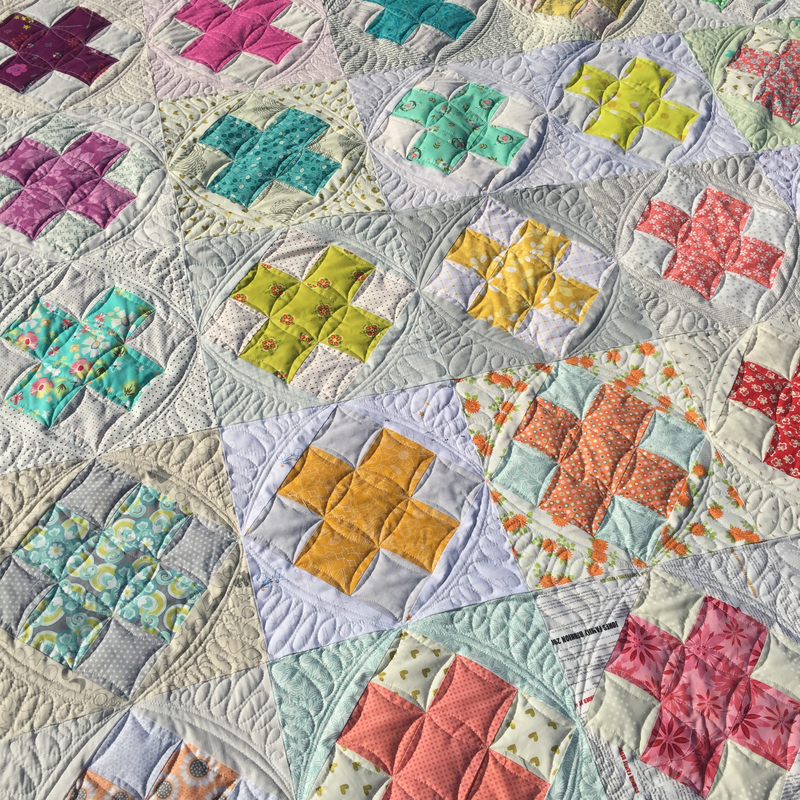 The quilt comes in three sizes, Mini, Baby and Throw. It sews up really fast. You can probably make the top in an afternoon. The smaller sizes are great for stash busting! L, V, E and stripes are from a Moda line by Shannon Gillman Orr called Acreage. It’s from a few years ago. The O is from Zen Chic’s line called Hey Dot from a few years back. I did some free hand edge to edge quilting on the big version. I was pressed for time because my quilt machine had been in the repair shop for 26 days and I had some catch up work to do. I love this variation of baptist fan and hope to use it again soon. 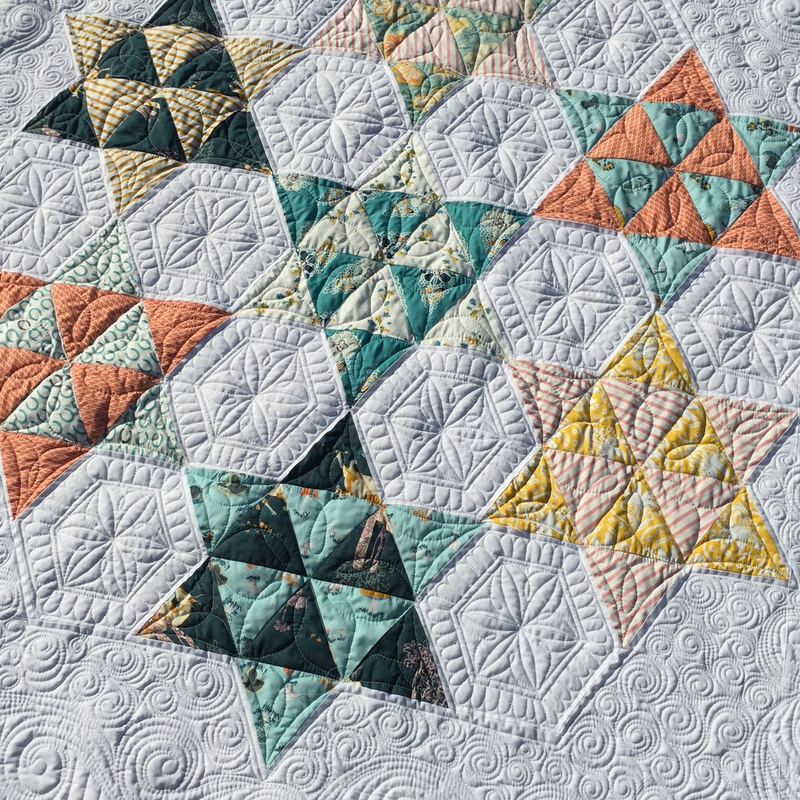 The mini quilt got some fun and fast custom quilting. I used several of my go-to designs to set the blocks apart just a little bit. I love searching the clearance at my local quilt shops for fun backings. It saves a little money and I buy fabrics I may not otherwise try. The backing for my throw size quilt is a Cloud 9 fabric. I love the orange peel design. It looks like my Beagle Winston loves it too. 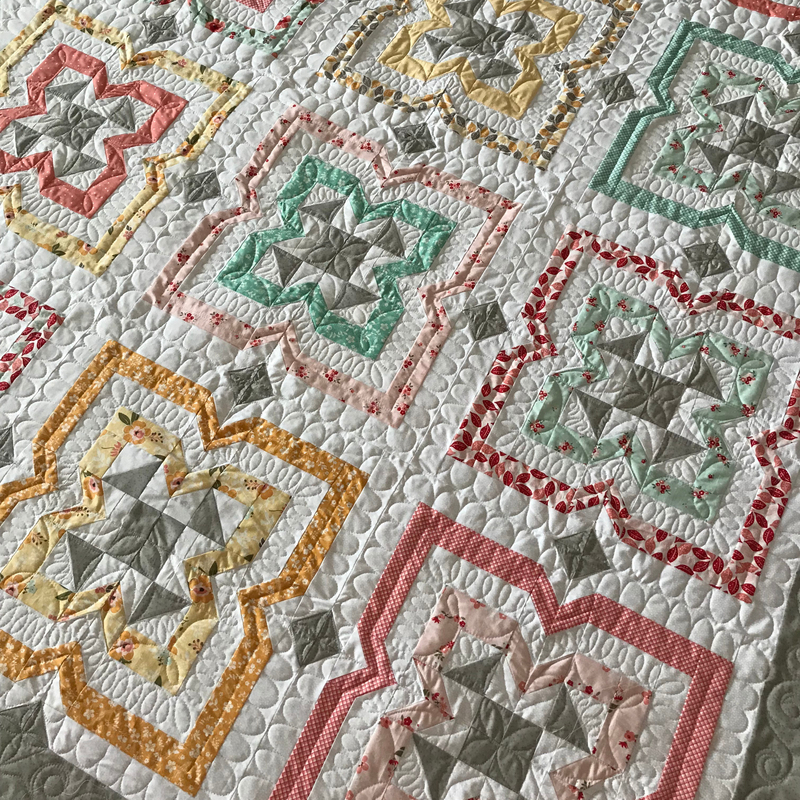 I hope you enjoy making this unique quilt! The pattern can be purchased in my shop.